Thursday Night Music Series 2018! 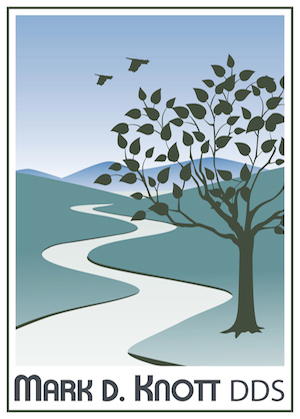 Thursdays May 31st – October 18th, 5:30-8 PM. Rebecca Levi is a singer-songwriter and performer of South American folk music. Originally from New York City, she has lived for years in Peru and Colombia, teaching music and exploring the vast diversity of rhythms and tunes along the spine of the Andean cordillera. With her band Debarro, Rebecca arranges traditional South American pieces for contemporary audiences. In her original songs, she combines the sounds of North American folk music with a Southern sensibility. She is joined by Charly Aliaga and Alejo Garcia. Recently returned from the Kennedy Center, The Afro Yaqui Music Collective (AYMC) is a multicultural big band which descends from the ensembles of Guggenheim award recipient Fred Ho, whose work was influenced by West African, global Indigenous, and East Asian musics. The Afro Yaqui Music Collective has been acknowledged by the New York Times as “furthering [Ho’s] musical legacy,” and the band has been presented at an eclectic set of venues over the country including through Lincoln Center and Red Rooster in Harlem, the Free Library of Philadelphia, and universities around the Americas from Pittsburgh to Vermont, to Mexico and Cuba. 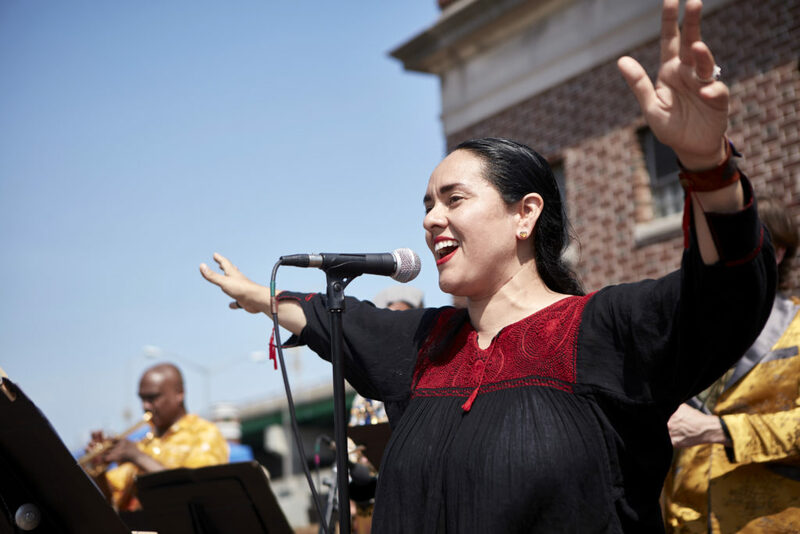 The AYMC is co-led by Gizelxanath Rodriguez, a Mexican operatic vocalist and cellist of Yaqui indigenous descent who is an internationally performing soprano and activist, and the recipient of a 2014 ACE Award. Gizelxanath co-leads the band with her partner, Ben Barson, the 2018 Johnny Mandel Prize Winner in composition from ASCAP. Barson met Fred Ho and Magdalena Gómez during his undergraduate studies at Hampshire College, and has worked with them ever since. Barson was Ho’s Baritone saxophone protégé who “Ho felt has the heft and sound to represent [Ho’s] assertive approach.” (The New York Times). In this spirit of building revolutionary bridges, the Afro Yaqui Music Collective has invited the great Cuban drummer Hugo Cruz, from Havana to collaborate with the collective. Cruz’s work crosses boldly between contemporary jazz and the Afro-Cuban percussion traditions embedded in son and tumba francesa.Also joining the collective is Alberto Villalobos, of the popular New York superground the Villalobos Brothers, a trio of high-octane Mexican violinists, whose music is inspired by the musical styles from Veracruz, Mexico. In addition, Villalobos is an accomplished sculptor and artist whose work documents state violence and cultural memory in Mexico.The band will also feature the lyrical stylings of Nejma Nefertiti– a multi~media hip hop artist, producer, sound designer, audio engineer, songwriter, and natural perfumer. Nejma Nefertiti utilizes hip hop and technology as tools to empower black, brown, and first nation youth for generations to come. 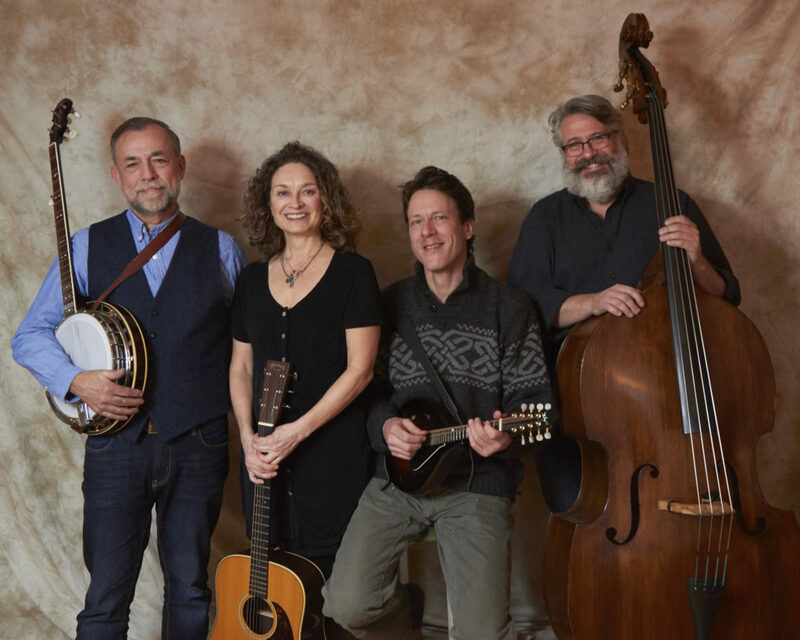 After many years touring nationally with Woods Tea Co, Patti Casey is reuniting with longtime musical collaborator Colin McCaffrey and former Bluegrass Gospel Project bandmates Steve Light and Kirk Lord. This highly anticipated reunion is the perfect frame for Patti, allowing for a little more blue in the bluegrass, a little more swing, and a whole lot of fun. Count on hearing the stuff you know and love and some new ones too — Colin’s beautiful fiddle and killer vocal harmonies, Kirk’s spot-on, low-key, rock-solid acoustic bass, Steve’s award-winning banjo and dobro, and of course, Patti’s voice and songs, which have not only won many national awards, but many hearts as well. 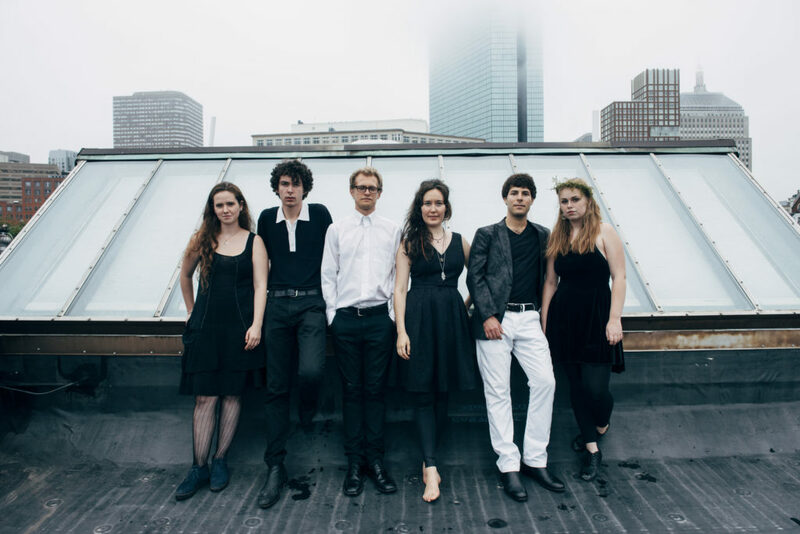 In September of 2016, six wildly diverse musicians came together unexpectedly within the walls of Boston’s New England Conservatory to form New Acoustic band, Night Tree. Though each member of American/Swedish Night Tree originates from a different musical world, the six members have come together to a create a new sound that is unique to their instrumentation and musical voice, both attracting and bewildering enthusiastic crowds while connecting folk music lovers, café radiojunkies, jazz enthusiasts, free-improvisers, and beyond. “Within a week of meeting each other, we began mapping musical ideas and plans to record an EP,” cellist Kaitlyn Raitz says of her first encounter with fiddler Ben Plotnick, before they even lived in the same city. One thing is certain: Oliver the Crow cannot be defined by genre, and yet is timeless, indelible. Kaitlyn and Ben have mastered the art of anchoring a folk song in epic pop sensibility, and it is so fun to hear them smash all the rules. 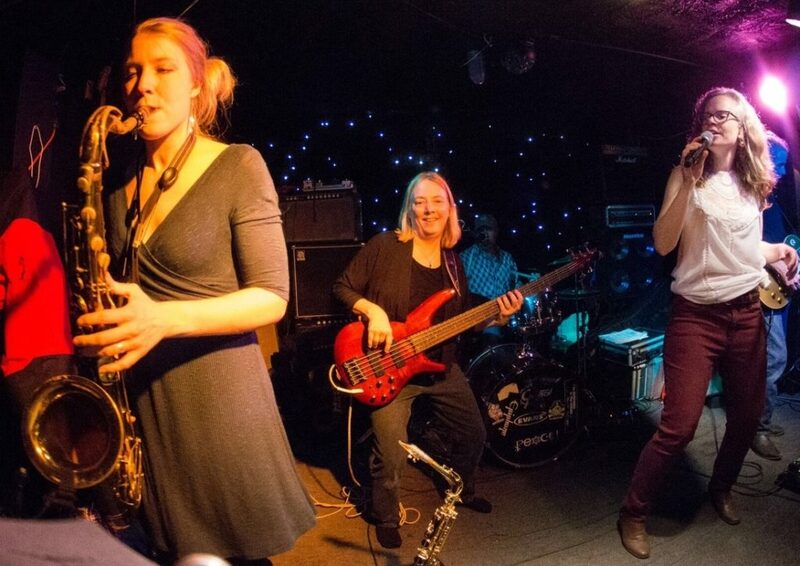 One of the Upper Valley and Central Vermont’s hottest bands, this 5-piece, high energy, multi-generational dance band has been playing the New England music scene for 15 years. From Motown to modern pop, this band will have your party dancing from the first song and will keep them on the dance floor all night. The Party Crashers play your favorite songs and pride themselves on their ability to span the generations with their high octane infectious grooves. Over and over folks rave about the variety of music in their repertoire. Hillary shares the stage with Katie on Tenor , alto and soprano sax, Kristin on bass (yup three women!! ), Ted on guitar and Tom on drums. Both of these fellas sing too, adding harmonies and variety to this amazing show. 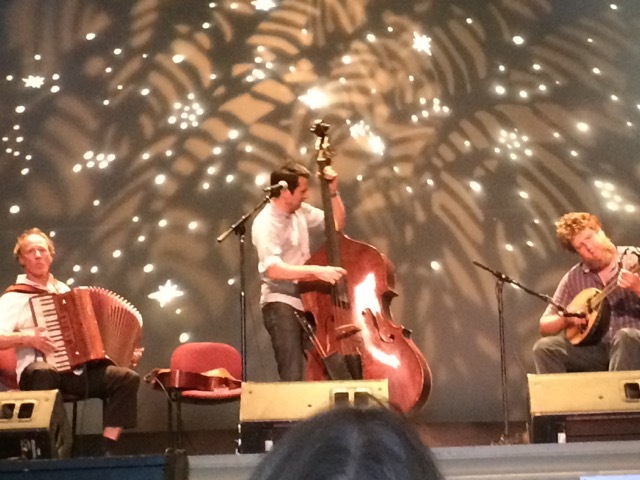 Jeremiah McLane, Owen Marshall and Corey DiMario, are each masters of their respective instruments (accordion, bouzouki/guitar and bass) and their repertoire includes tunes from France, the British Isles and original compositions. The Montpelier Times-Argus music critic Art Edelstein named Jeremiah musician of the year for 2016, citing his contributions in teaching, recording and performing is his various configurations. Owen is a founding member of Irish super-group The Press Gang, and Corey is a founding member of the string band sensation Crooked Still. Together these three musicians will transport listens to another place and time, with melodies that are driving, haunting, melancholic and up-lifting. “Chaque Fois!” performs Cajun music from southwest Louisiana that sets a festive atmosphere, weaving rhythms and harmonies with twin fiddles and vocals. The band is led by multi-instrumentalists Katie Trautz and Alec Ellsworth. They are joined on guitar and bass by Chris Hollis and Helen Doyle. Though the band is young, all the members of Lula Wiles have spent their lives grounded in songs. 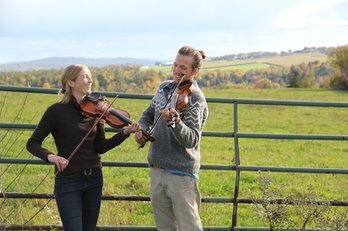 Born in Maine to musical families, they began playing music together as kids at Maine Fiddle Camp, and eventually each made their way to Boston to study at Berklee College of Music. 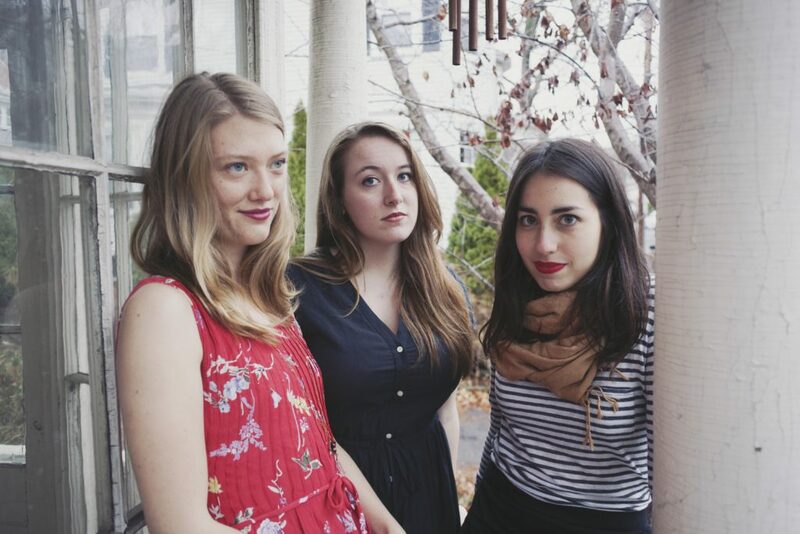 Isa and Ellie began performing as a duo in 2013, and Lula Wiles was born when Mali joined the band a year later. When Lula Wiles performs, the band’s many years of friendship are clear from their electrifying musical chemistry and alchemic vocal harmonies. 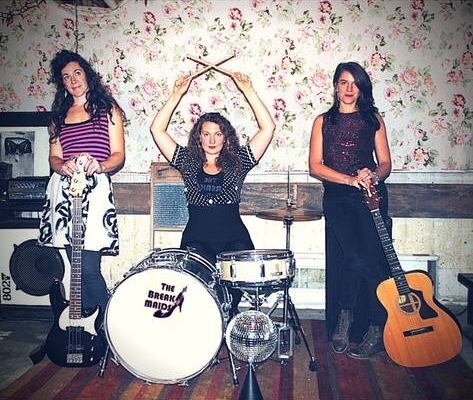 Now based in Boston’s thriving and close-knit roots music community, Lula Wiles have performed at premier festivals and clubs throughout the eastern United States, including Club Passim, the Sinclair, Grey Fox Bluegrass Festival, Fresh Grass Festival, and Green River Music Festival. 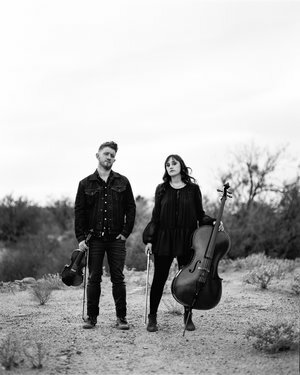 They’ve recently expanded their touring territory to Canada and Europe, and have shared stages with artists like the Wood Brothers, Aoife O’Donovan, Darlingside, Sarah Jarosz, and Tim O’Brien. Roots authority No Depression predicts Lula Wiles “will be a huge force on the Americana scene for years to come.” All proficient vocalists, multi-instrumentalists, and songwriters, the three women of Lula Wiles are each uniquely powerful in their own right; but combined, they are a force to be reckoned with. Kafari and Jake Hoffman, both living in Portland, Maine, use bones and banjo as tools to dig deeper than the traditional American dance music and country blues songs they play. They trace the histories of these instruments to illuminate the social dominance and cultural erasure that shaped what we know as ‘folk’ and ‘pop’ music today. Sitting in this mess, Kafari and Jake strive to honor forgotten artists by offering their interpretations of Southern square dance tunes and old songs with all-too-relevant messages. They also push forward, diving into improvisatory spells, listening harder than they play, and finding new approaches that lift each other up. 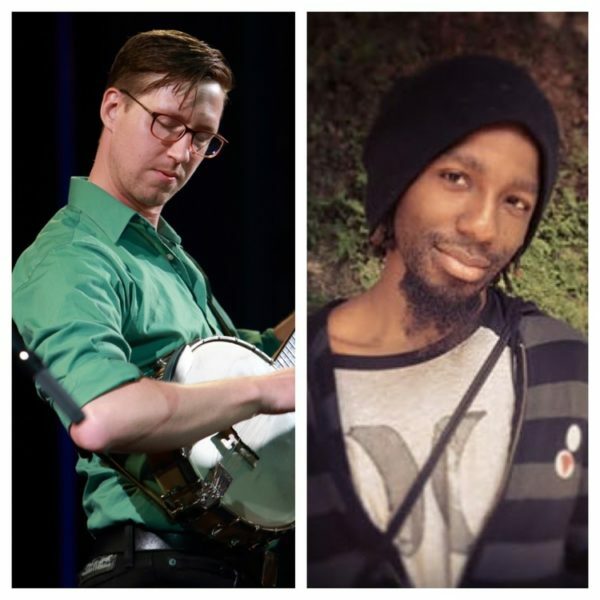 They will be joined by Peter Winne, who along with Jake founded Tumbling Bones, a string band who liked to call Barnard their home-away-from-home. Have a song or poem? Join us to close out a wonderful season! The music programming at Feast and Field grew out of Fable Farm’s early days when artists would play for the pass-of-a-hat under the maple trees at the CSA pick-ups. Today, a full music series curated by Chloe Powell is produced by BarnArts Center for the Arts at Feast and Field. BarnArts has served as a fiscal sponsor during the initial carving out of the music series as a non-profit entity, and now we are pleased to be including Chloe and the Thursday Night Music Series as one of our events along with other Music on the Farm ticketed events. The music is still primarily supported by a “passing of the sap bucket” each Thursday, and by donations from Music on the Farm sponsors. For more info on sponsorship for this event, please contact Chloe Powell at clovermont@gmail.com. 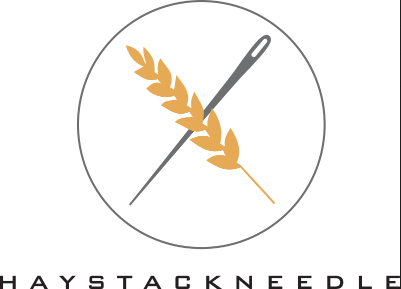 Feast and Field is located at 1544 Royalton Turnpike, Barnard, VT.
Music runs from 5:30- 8 pm, or whenever the band quits! Chloe grew up in Barnard and returned as an adult after time in Boston, Burlington and Italy. She was one of the original founders of BarnArts, but resigned from a general position in order to better focus on her mission of promoting all of Barnard’s event and establishing the Art on the Farm music series at the Feast & Field Market. 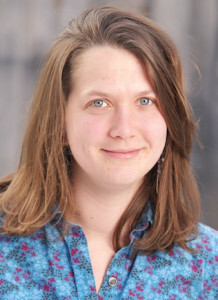 She writes the weekly Barnard column for the Vermont Standard and the Herald of Randolph, and she is the director of Camp Red Clover. She is committed to a life as a musician, teacher and artist.